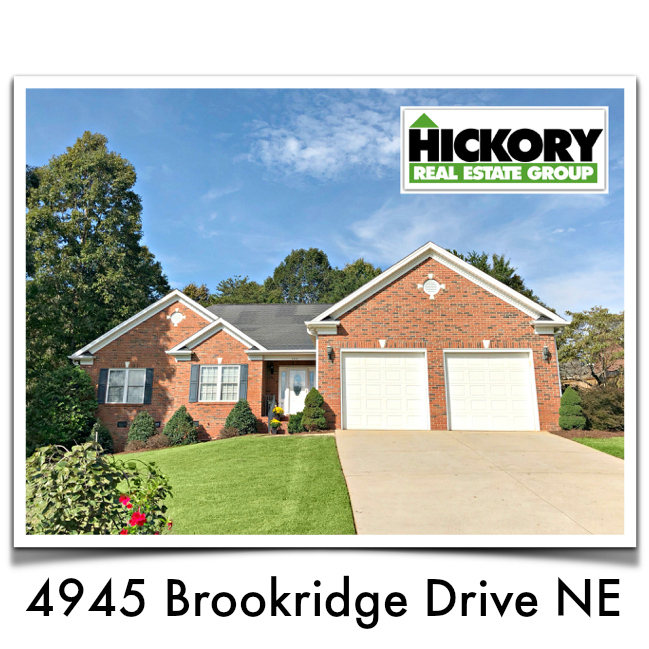 One level living in this lovely brick home with 3 bedrooms and 2.5 bathrooms located in the desirable golf community of Catawba Springs! This home has a wonderful, spacious layout and includes vaulted ceilings, a split bedroom plan, and hardwood floors throughout. The master bedroom has a large, walk-in closet, and a beautifully updated bath including a jacuzzi tub, and gorgeous tiled shower with dual, shower heads. Like to take long showers? No worries! This home has a gas, Rynai, Instant, water-heater to keep your water hot for as long as you need. All windows have been upgraded to double-paned, tilt-out windows for easy cleaning and are all covered by beautiful, custom, wood, blinds. The backyard has a nice-sized back deck overlooking a tree-lined back lot and a pre-tilled, area for gardening. Plus, apple & pear trees, and blueberry bushes! This beautiful, meticulously-maintained home will not be on the market for long.